Visit the Rochester Toyota Service Center Near Rochester, NH. If you want to increase the longevity of your vehicle it is important to bring it in for regularly scheduled maintenance. 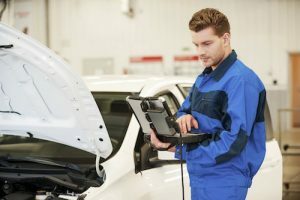 Proper vehicle care will not only improve your vehicle performance and maximize your gas mileage but it will also help preserve your factory warranty. The Rochester Toyota Service Center provides service for Toyota vehicles as well as auto service for many other brands. We offer a variety of Auto Service Specials and Coupons to help you save money on quality auto maintenance. Our Toyota Tire Center offers a variety of tires and wheels to choose from and our auto parts center is always stocked with genuine Toyota parts and accessories. If you have any questions about our Toyota maintenance, service or repair please contact our Toyota Dealership in Rochester, New Hampshire.